The Wisconsin Housing and Economic Development Authority (WHEDA) has announced the return of the High Impact Project Reserve (HIPR) program that was created in 2013. The HIPR program is a special round of Low-Income Housing Tax Credits (LIHTCs) held later than the normal selection round that was announced in April 2014. Approximately $1.2 million will be available in tax credits. Developers are urged to submit appropriate applications. “WHEDA is delighted to administer the HIPR program,” said WHEDA Executive Director Wyman Winston. “Low-Income Housing Tax Credits will be awarded to affordable housing projects that have strong economic development or redevelopment attributes, significant community support, and/or a tangible impact on job creation, job retention or job training. “Given the track record and the popularity of the tax credits, I am extremely confident that they’ll be allocated to an outstanding development that will have a significant impact. HIPR is a continuation of one of the most successful and effective public-private partnerships in Wisconsin,” added Winston. 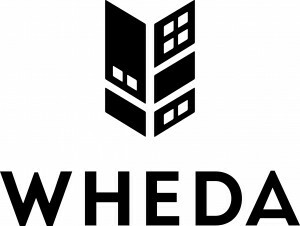 The 2014 LIHTC HIPR application is now available on LOLA, WHEDA’s LIHTC online system. New HIPR applications for credit must be submitted electronically using LOLA. HIPR applications will be accepted July 15 – July 30, 2014 (5:00 p.m. CST). Additional information regarding the 2014 LIHTC HIPR Round, including available HIPR scoring categories, is available in Modification #4, 2013-14 Qualified Allocation Plan on wheda.com.